AeroDR® XE is the simple, reliable, robust wireless DR solution for the most extreme environments. AeroDR XE is for healthcare providers that need to image patients outside of the radiography department under extreme physical and environmental conditions like ER/Trauma, ICU/CCU or at the patient’s bedside. Robust by design, the AeroDR XE delivers unparalleled reliability and high-capacity imaging. 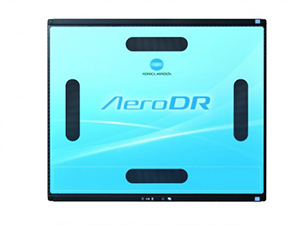 The AeroDR XE is the lightest panel available today weighing only 5.7lbs. The panel is liquid resistant reducing the likelihood of damage due to fluids in the exam area. Simple. You need quick and accurate information for your most acutely ill patients in the ER/Trauma and ICU/CCU. With AeroDR XE, you get exams faster with image preview in one second and fully processed images in less than eight seconds. 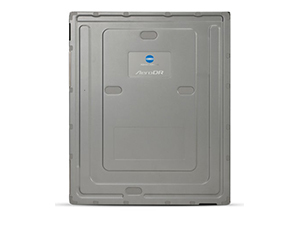 Plus, the panel is compatible on any X-ray device with the AeroSYNC® automatic exposure detection. 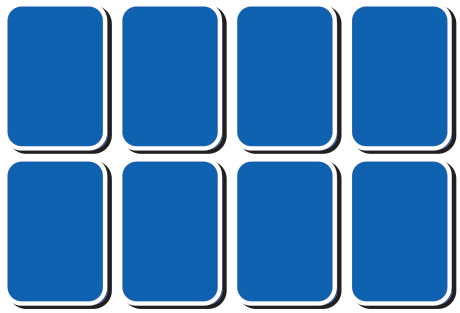 The panel is easier to position with handy grip strips and the simplest panel to carry because of its lightweight 5.7 lbs design. The easy to use AeroDR XE has the same industry-leading image quality as the AeroDR HQ and is packaged with software options that enhance usability. It’s a smart, simple solution that is built to last. 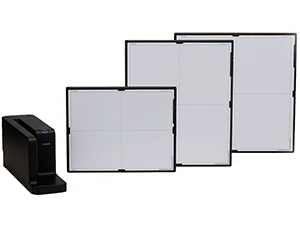 Portable imaging in demanding environments can take its toll on wireless DR flat panels. The AeroDR XE is designed to withstand the bumps, drops, loads and liquids found in emergency/trauma settings, intensive/critical care units, and at the patient’s bedside. Featuring the best weight to load ratio—up to 661 lbs—and the highest bend and liquid resistance on the market, AeroDR XE is built to withstand use in the most extreme environments. Completely sealed with no external battery, AeroDR XE can be wiped clean with approved cleaners after each use to fulfill your hospital’s infection prevention protocols. Avoid unplanned downtime and achieve greater productivity with the reliable and robust AeroDR XE. Improved battery life now lasts a full shift, up to 8.2 hours or 300 images. New panel drop sensors and monitoring provides ongoing data on panel handling, so you can avoid catastrophic failures, reduce repair costs and gain peace of mind. With the Aero Remote, you can even perform initial diagnostic checks without calling for support. Plus, as the lightest panel on the market at 5.7 lbs with grip strips, the AeroDR XE is easier to handle. You need information quickly and reliably for your most acutely ill patients in the ER, Trauma or critical care units. With AeroDR XE, you can get exams completed faster with image preview in 1 second and fully processed images in less than 8 seconds. 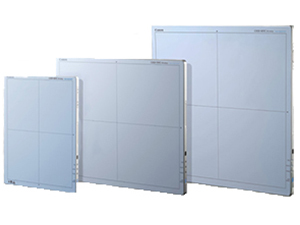 The panel is compatible on any X-ray device with the AeroSYNC automatic exposure detection. 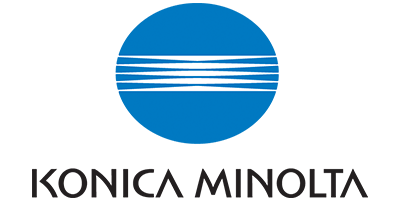 Industry leading DQE enables dose effecient imaging that provides the information clinicians need in these fast-paced, demanding environments. The lithium ion capacitor has a charge and discharge cycle life that is tremendously longer than a lithium ion battery and does not markedly decrease in capacity even after it has continuously been used for many years. Therefore, it is possible to build environmentally friendly technology directly into the AeroDR. The structure of the cassette case has become so simple that it is possible to significantly reduce the weight of the cassette and increase the mechanical strength. Plus, the completely sealed cassette can be wiped clean with approved cleaners—further helping your department achieve proper infection control protocols. The lithium ion capacitor charges quickly in a docking station or through a tethered connection, has a long charge and discharge cycle life that does not need to be replaced during the expected life cycle of the detector. 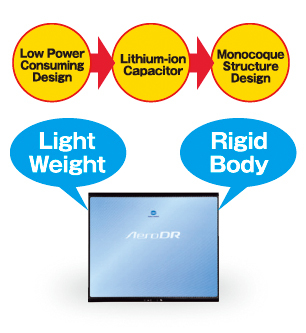 If the capacitor gets exhausted in an emergency, AeroDR can still produce over 10 images after being recharged for only three minutes. Longest usage time: 8.2 hours of continuous use. Most resilient: IPX 6 liquid resistance, battery free power, easy to clean and disinfect. Power, speed and simplicity of operation ideal for ER/Trauma applications. Lightweight detector designed to withstand the loads, bends, bumps and liquids from portable use in the emergency, trauma, and critical care units. Simple, reliable imaging for primary imaging that is ideal for teaching hospitals.